I’m so pleased to be able to share another real fertility story from guest blogger, Claire from Newcastle upon Tyne. Claire has had some real ups and downs but is currently expecting a baby this summer (2019). Claire suffers with endometriosis and also has low AMH. She also had real difficulties even undergoing fertility procedures without falling ill…read on for her full story. The road to parenthood isn’t always straightforward but I hope these stories really do raise belief. Who knows what the right order is. There is this invisible tick list that we’re meant to follow, I always knew I would do it differently, but maybe not this differently. In 2012 we married, in 2013 we paid our debt off, in 2014 we quit our jobs and went travelling, in 2015 we decided to have a baby… as then it was ‘that easy’, we soon realised by 2016 things weren’t that easy and having a baby wasn’t easy. On social media it seemed it was though, everyone was popping them out. I grew up being told how easy it was to fall pregnant, so why wasn’t it happening for us? We waited another year, yet still no baby, a house (a room fit for a nursery) but still no baby. In late 2016 we started having ‘investigations’ carried out, it soon became apparent I had endometriosis and had done for years. When asked personal questions I answered yes to them all, assuming things are meant to hurt. As women we just find other ways to deal with stuff, doesn’t it naturally ‘just’ hurt as a women? I then had a hysterosalpingogram (hsg) where they insert dye into you to see how your fallopian tubes are working. The dye went through but not before I passed out during the procedure, just another part of this painful journey. Low AMH was then diagnosed, great, hello menopause at 40 and goodbye any decent quality eggs. In 2017 I was operated on for endometriosis and they found it at moderate stage, they took what they could away, informing me it would be back at some point. I also found out my heart dipped so low in this surgery that they needed to monitor me closely afterwards. The journey continued but with some excitement because soon after the surgery we found out we were pregnant, the joy that the surgery had worked, the amazement we had finally come together and my womb was with life. With another horrid twist of fate, we miscarried soon after. Without documenting every essence of our journey, you can see it didn’t start easy, we were thrown into the thralls of infertility and had no idea how to navigate it all. The only way we learnt to was to hold one another, talk and be each other strengths. We also made the agreement of ‘what we had was enough’ and although a baby would be amazing we weren’t going to let it break us or diminish what we had. In our years of infertility we bought a house, campervan, a dog and then another dog, we travelled and survived the best way we could and made sure our mental health was looked after the best we could. We joined the IVF club in October 2017, and soon realised how hard it was when our first egg collection brought us nothing but a diminished egg, with no hope. I also fainted again, right in the middle of the clinic when speaking to the embryologist, finding out I was reacting badly to the procedure and my reproductive system didn’t want procedures near it. They implanted that egg but it had no chance and we soon found out our first round of ivf was over… not pregnant. We made the decision to take a few months off, do some research and look into holistic therapy and supplements that could help my low amh and our next IVF round. I bought the book ‘It Starts with the Egg’ and found some great ideas to help support my needs. I also started with a fertility acupuncturist and reflexologist and felt in control moving into this next round. We egg collected in April 2018 and found out they got 5 eggs this collection, the news came with such excitement, however again I soon passed out and was informed a referral to a cardiologist was needed. 5 eggs though, we couldn’t believe it. Those eggs went to 3 and by day 5 we had 3 top quality blastocysts. I remember it was Easter Sunday when they rang, I was in bed eating an easter egg with a cup of tea and couldn’t believe the news. They were ready to transfer, we were certain this was the time. Sadly the news didn’t carry on with joy and this next transfer turned to another BFN. We were gutted and decided we needed a break and some time to heal. We got no answers for why this round didn’t work and I was so utterly down. The day we got our news another instagram announcement ‘we’re pregnant’ and I wanted to respond ‘guess what, WE’RE NOT’. Summer of 2018 became our Summer, we went to a European festival, we partied hard at a UK festival and we took time in our campervan with our furbaby to walk, heal and be with nature. We made the decision to move into our next round in October 2018, we also chose to bring home a puppy. Again I did everything I did before, with the extra of beetroot and pomegranate drinks and fertility massage. We didn’t hold much hope and were discouraged to transfer 2 embryos due to the high quality they were. I succumbed and agreed to one, I decided this time life was going to go on. I went to a gig, drank some wine, worked and ensured I laughed (thank god for the US Office TV series). 10th Nov 2018; the day we found out. 2 years and 8 months we had been waiting to hear this news and when we saw those 2 lines, we couldn’t believe it. I convinced myself I was miscarrying, obviously that’s why the positive line was so light, however over that weekend it grew darker and by our blood test Monday, we were confirmed a strong positive, with our HCG levels high. Finding out your ‘officially’ pregnant in the middle of Newcastle city centre was never my dream but hey, none of this has been. We got a scan at 7 weeks and waiting for that heartbeat was terrifying, we had both convinced ourselves nothing would be there, but it was and there on the screen was a teeny teeny peanut sized baby, healthy and growing well. As you can imagine, tears came and we both knew this was happening, it was real. 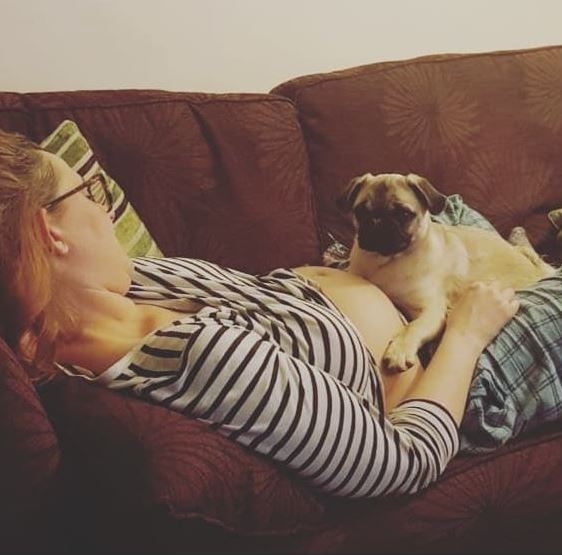 Our 12 week scan felt even worse and although I could see my body changing I realised that anxiety monster still creeped in and made me worry this could all be a dream or suddenly a very awful nightmare. That anxiety monster was soon kicked into touch when there in front of us was our babe, upside down and not wanting to lie still for the scan. That overwhelming feeling of it’s okay was just wonderful and we happily stared at those scan pictures with smiles bigger then Christmas. 21 weeks in and everything is going well, we have had a small scare but were supported through it and as I quickly grow I plan. We’re not at the end yet but we’re pregnant and this infertility journey I am pleased to say, is nearly over. Do I wish it hadn’t been us, my answer is no as I have learnt the value of appreciation. I am thankful for what I have, what I have achieved and knowing who I call my friends. This journey has taken so much but has also given so much and it will make me the Mum I am to be. 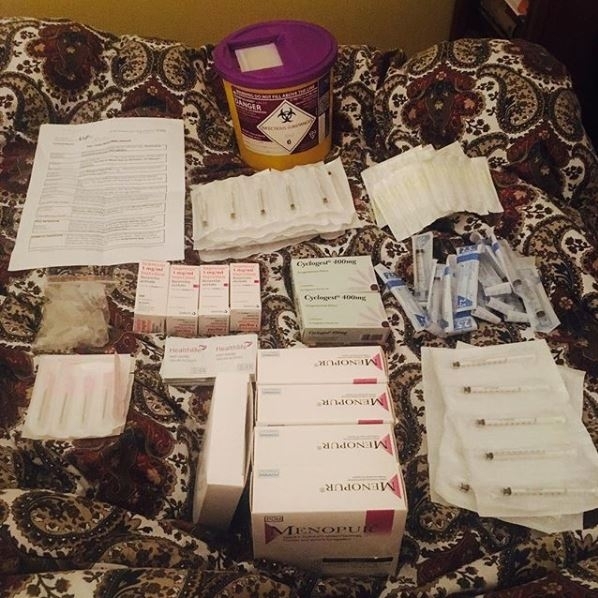 Claire writes about her journey on her own blog here. Please note – I am honouring wishes of anonymity where requested from my guest bloggers and none of the content or any advice within replaces that or the protocols of medical experts. Every individual is just that, individual.